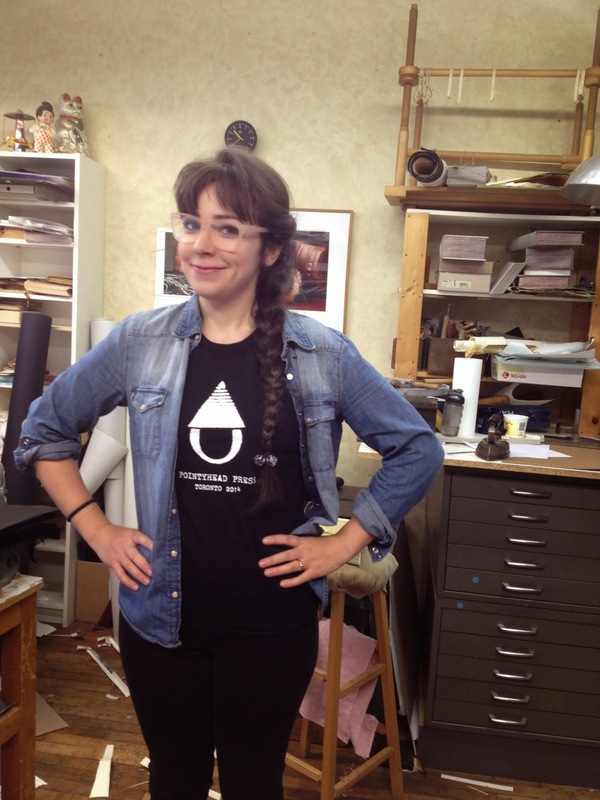 Don Taylor: Bookbinder: The Brand New Pointyhead Press T-shirt! Available on Saturday 29 November at the OCAD Book Arts Fair. Laura models the new design and wears it well. Get yours on Saturday!